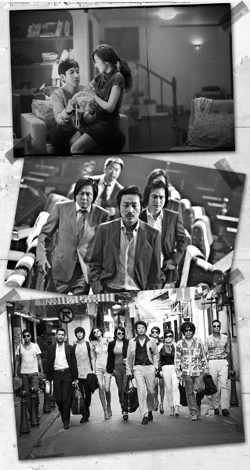 Mystic Korea: What Does 2013 Hold for Korean Film? Korean films drew more than 100 million viewers over the past year, but there are a number of concerns if they are to sustain their momentum. Here are five of the top issues for this year that have insiders speculating about the future of the movie industry. ◆ Can Korean Movies Break the 100 Million Mark Again? In 2012, domestic movies set a new record by attracting 115 million moviegoers. With many much-anticipated films out this year, the question is whether the industry can repeat that milestone. Potential blockbusters include "The New World" directed by Park Hoon-jung, which revolves around a cop who goes undercover into gangland and Kang Woo-suk's "Fist of Legend," based on a webtoon. Other releases include a Korean version of "True Lies" by Yi Seung-jun, and Won Shin-yeon's new film about a delivery man who draws upon his experience in the North Korean special forces when he is falsely accused of the murder of a company CEO. ◆ Can Korean Directors Capture Global Audiences? Korea's most noted directors are debuting in Hollywood. Kim Ji-Woon's Hollywood debut "The Last Stand" starring Arnold Schwarzenegger will be released in North America this month. In February, "Stoker," directed by Park Chan-wook and starring Nicole Kidman, comes to cinemas around the world, and in the second half of this year, the W40 billion (US$1=W1,062) production "Snow Piercer" by Bong Joon-ho will hit screens in North America. ◆ Kim Hye-soo or Jeon Ji-hyun? The stars of "The Thieves," the biggest local box office hit of 2012, will compete against each other with their new films. Jeon Ji-hyun appears in "The Berlin File" by Ryu Seung-wan, set to be released in January. It also stars Han Suk-kyu, Ha Jung-woo and Ryu Seung-beom. Kim Hye-soo co-stars with Song Kang-ho in Han Jae-rim's period movie "Fortune," which will be released later this year. Kim Yoon-seok will return to screens with "Run to the South" by Lim Soon-rye and "Hwayi" by Jang Joon-hwan, while Kim Soo-hyun landed his first starring film role in Jang Cheol-soo's "Covertness." ◆ Are Co-Productions the Way Forward? A Korean-Chinese co-production, will hit theaters in China in the second half of this year. The movie tells the story of a girl from a circus troupe and a gorilla joining a Korean professional baseball team and growing into superstars. The Chinese distributor covered more than 25 percent of the production costs of W22.5 billion, and the movie is expected to secure at least over 5,000 screens in China. ◆ Will Hong Sang-soo Finally Land Int'l Festival Prize? Hong Sang-soo's feature film "Nobody's Daughter Haewon" will compete in the official competition at the Berlin Film Festival in February. Hong has entered international film festivals 242 times since he debuted with "The Day a Pig Fell Into the Well" in 1996. This is his fifth time in competition in the world's three major film festivals -- Cannes, Berlin and Venice -- but so far he has not managed to win an award. I love reading this post. Koran films are great and i love watching them. I'm so looking forward for more k-movies to watch this year.